All though it might have been around longer before the 16th century the lace become more popular in the early 16th century. Lace is an openwork fabric design with open holes in the work, and it is made either by hand or by machine. In the early days of its origin, it could be made from materials such as gold, silk, cotton threads or silver threads. Although this old fashion technique had lost favor with many people, the increased popularity of tattoos seems to be reviving it. Lace making has now been transformed into a new type of art in the form of a tattoo, and its popularity is now on a steady rise. When getting this tattoo just like any other kind of tattoo it is imperative to choose not only a good design but also a good location for it. 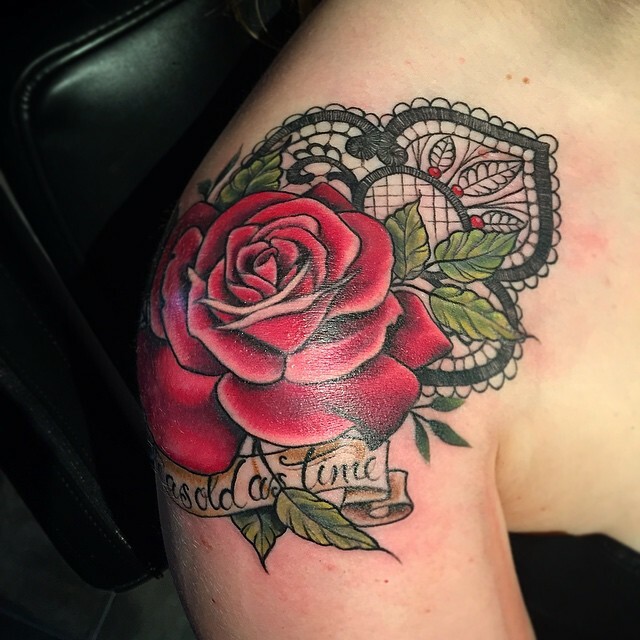 This article will review some of the best placement ideas for your tattoo and types of lace tattoos available for you to choose from. When getting a tattoo, it is important to take enough time to research and think before choosing the tattoo you want inked on you. However, it is also equally important to choose the location of the tattoo carefully. The placement of your tattoo will be influenced by things like the tattoo design, the size of the symbol, personal preferences and sometimes also the color. For lace tattoos, the following are some of the places where it will look fantastic. The lace is a more feminine tattoo, and so the thigh is one of the most popular and common places for putting it. Depending on the meaning that you want the tattoo to portray the thigh is a good place to have your tattoo. 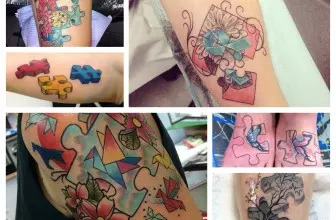 However, not all types of these tattoos will look well on the thigh and so the tattoo design will determine the suitability of the tattoo as a thigh tattoo. You can also choose to have the tattoo inked on one shoulder or both depending on your preferences. Shoulder tattoo works very well for women as they also act as an additional fashion accessory. 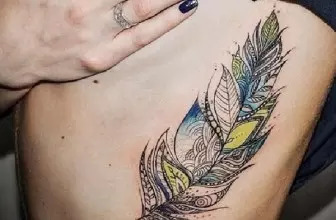 However, if you wish to show your shoulder tattoo, then you have to be ready to wear strapless tops or tops that are designed to expose one’s shoulders. A lace tattoo covering the entire back is quite common and so if you love big tattoos this will be a great placement idea for you. The biggest advantage of having your lace symbol on the back is that there is more than enough space, and the back is easier to work with. Drawing a back tattoo is comfortable for both the person getting the tattoo and the artist, and so discomfort will never be an impediment to getting the tattoo design you have always wanted. If you decide to have your tattoo placed on the chest there are unlimited ways to go about it. For instance, you can have a tattoo stretching from one arm to the other on the chest or have a smaller one next to your heart. The good thing with lace symbols is that there are designs that will look well on you no matter what your idea of a chest tattoo might be. 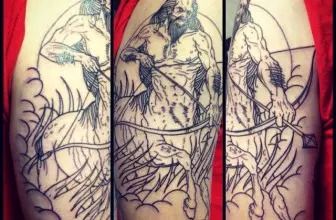 Upper arm tattoos are a little bit tricky to draw, and so you should get a skilled artist. However, with a skilled and experienced tattoo artist you will get an amazing upper arm lace. The good thing about an upper arm lace is that you can choose to display it or show it off any time you wish by selecting the appropriate dress code. This type of tattoo is made up of lace and a rose flower (or any other flower that you like). It can be drawn in any way or color provided there is lace and a flower on the tattoo. However, the common drawing is made up of a very colorful flower and black lace with the lace ties around the stem of the flower. Butterflies are gorgeous, and so some people will use this beauty to enhance their appearance of their tattoos. This symbol is made up of a butterfly and lace with either of them being the centerpiece. The tattoo can be of lace with one or a few butterflies on it. In this case, the lace is the centerpiece in the drawing. In other variations, the butterfly is the centerpiece. This is perhaps the most common type of this tattoo, and it is also drawn in different variations depending on the creativity of the artists. The lace ribbon can also be drawn as part of another tattoo. This is a relatively new type of lace, but it is quite exquisite. This tattoo is drawn to appear colorless and in 3D. White ink looks fantastic especially for people with very light skin. However, since it is quite new, you have to look for an artist that is well conversant with drawing it otherwise you will not get the drawing you might wish for. 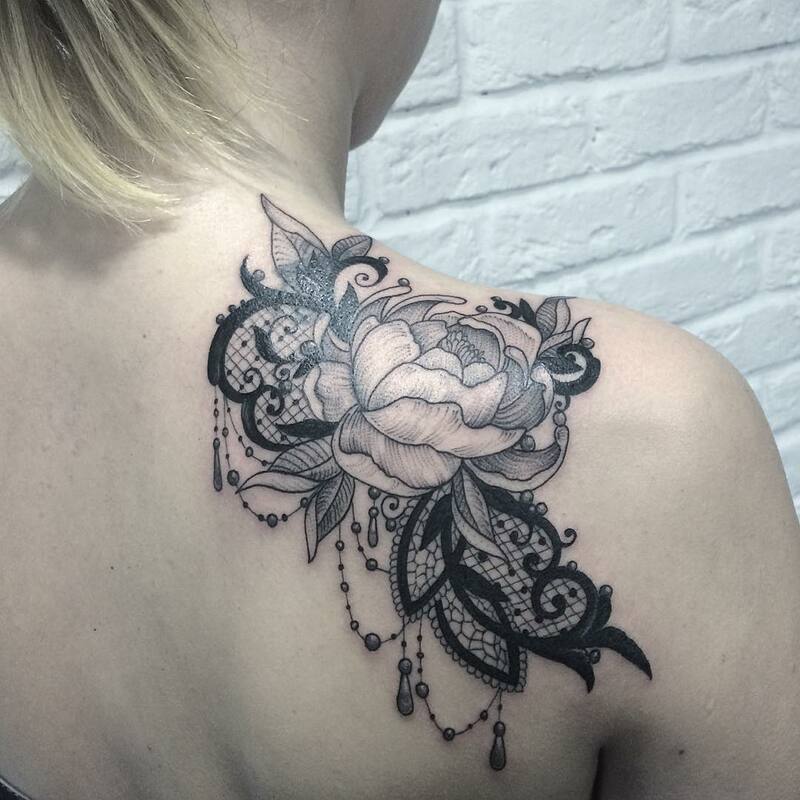 This type of lace tattoo is drawn to look as realistic as possible, and if drawn well it can achieve this. In this tattoo, the lace ribbon is made to look as real as possible through the art of optical illusion. As he name suggests this tattoo is drawn to take the shape of a paw. The lacy paw is a popular leg and upper arm tattoo. If you love dogs, and you wish to have a unique tattoo to show it then this would be a great idea for you. The dragon has been incorporated in most tattoo types, and the lace is also not left behind. The lace dragon is quite captivating when properly drawn. A great idea to make it look even more fantastic is to have a huge one on the back or chest. This tattoo adds a few words to the tattoo to give it more meaning. The lettering can be done on any of these tattoos, but you have to choose carefully where to have the words to prevent the tattoo from looking awkward.